Morgan Shields was a third year undergraduate student when he found a new species of weta as part of his field ecology course. Morgan tells us how this came about. 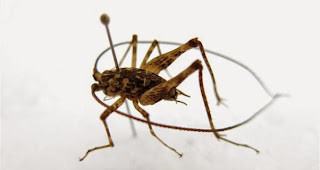 A brand new weta species! Finding a new species is a dream of most budding biologists. However, for many this never becomes a reality. I was lucky enough to live this dream during the 2014 ECOL310 Field Ecology course at Lincoln University, when I collected a highly divergent species of cave weta (Rhaphidophoridae) during my research project. A highly divergent species is one that is identified as likely new species but has not been confirmed. It was a pretty sweet feeling that, as an undergraduate student, I had found something that no else had likely ever documented before. My excitement was magnified when the find was celebrated by lecturers in the Ecology department who had taught me for the last three years. Our intrepid student hard at work. A pitfall trap in the forest at Boyle River. The cave weta were collected during my field ecology project at Boyle River, near the Lewis Pass in the Southern Alps of New Zealand, which examined how invertebrate community composition differs between native beech and kanuka habitats. This information could then contribute to invertebrate conservation. 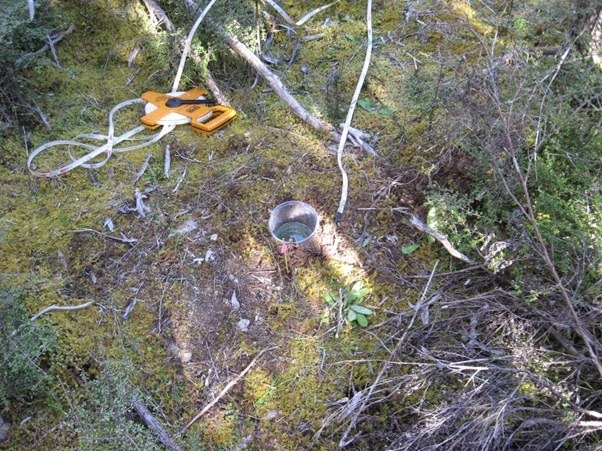 Pitfall traps, which are essentially plastic cups with a preservative inside, were used to catch the weta and other invertebrates which were identified to recognisable taxonomic units (RTUs). These RTUs are then looked at by experts and my highly divergent cave weta species was later determined as a likely new species. 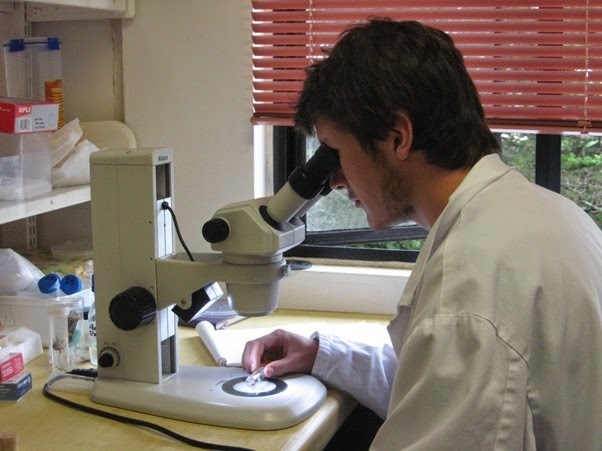 Reflecting on this adventure, the field ecology course provided this opportunity to find some of New Zealand’s hidden wonders and apply the skills that I had learnt in my degree on a real research project, in a spectacular part of the Southern Alps and supported by hands-on lecturers. This was one of the best courses I have taken and I would recommend it to anyone who wants to get out into the bush to do some real hands-on ecology.